It has been reported that Tony Hall’s home has been under 24-hour guard since the threats were made. BRITISH POLICE ARE investigating a death threats against BBC director-general Tony Hall following his decision to drop “Top Gear” presenter Jeremy Clarkson. Scotland Yard police headquarters confirmed it was examining allegations made on Wednesday, when Hall confirmed Clarkson’s contract would not be renewed at the end of March after he hit a producer. The Mail on Sunday newspaper said Hall’s home had been under 24-hour guard since the threats were received. The weekly tabloid printed pictures showing security outside, claiming it was costing €1,350 a day to protect the corporation’s top executive. “Top Gear” is the world’s most popular factual television programme, with 350 million viewers per week in 170 countries. Clarkson, who was the main presenter, is caricatured by fans as a straight-talking man-of-the-people and by detractors as a boorish bigot. More than a million people have signed a petition calling for Clarkson to be reinstated. Clarkson’s contract was not renewed after an internal BBC investigation found he physically attacked “Top Gear” producer Oisin Tymon following a lengthy verbal tirade, reportedly because the presenter was annoyed at a lack of hot food after a day’s filming. The 30-second attack saw Clarkson strike the producer, giving Tymon a swelling, bleeding lip. The outspoken presenter, 54, flagged the incident to the BBC after Tymon took himself to hospital. 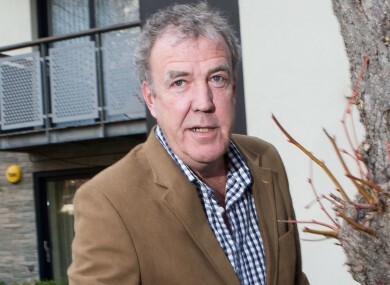 Clarkson’s departure will have financial implications for the British Broadcasting Corporation, as its commercial arm BBC Worldwide earns around €70 million a year from the show. Email “BBC chief receives death threats over sacking of Jeremy Clarkson”. Feedback on “BBC chief receives death threats over sacking of Jeremy Clarkson”.